Nannies like Tully Are Welcome Relief for Parents with Newborns! Nannies like Tully are welcome relief for parents with newborns; just don't call them night nannies! With the movie Tully opening this week, Louise Dunham, a pioneer of the nanny industry in Australia points out the term 'night nanny' is outdated and no longer the correct phrase to use. In Tully, Marlo, who is played by Charlize Theron, gives birth to her third child and her wealthy brother hires a night-time nanny named Tully to help his sister handle the workload. Louise Dunham, CEO of Placement Solutions nanny agency, said that nannies who look after newborns and handle the night shift from 11pm to 7am are now referred to as newborn care (NBC) specialists. "Other outdated terms such as maternity nurse, doula, mothercraft nurse also come under the newborn care specialist title," Ms Dunham said. "NBC specialists can help mothers who are overwhelmed with their new baby, by feeding, settling and monitoring the baby or babies, as well as changing and dressing the baby." Louise Dunham, who has written a book about the role of the modern nanny and the nanny industry, said a qualified newborn care specialist brings exhausted parents the gift of sleep. "When babies don't sleep, their parents don't either. For many, sleep deprivation can be a difficult part of new parenthood; bringing with it an increased risk of postpartum depression and anxiety. "NBC specialists are ideal for once or twice a week so parents can catch up on sleep and they can help with feeding problems. They can also be employed for day time shifts and can care for up to three infants at a time." Dunham highlights how important it is to have a comprehensive screening process to ensure the nanny chosen will provide a safe and caring role. "Instead of hiring a random babysitter from an online ad, a neighbour or a relative, parents should take the safe, reliable and trusted option by going through a reputable nanny agency. "Nannies are more than just babysitters. They are professional, pro-active, fully screened nannies who are trained and have qualifications. They should also be legally employed and not paid cash in hand, which is illegal." Casual and date-night nannies are becoming increasingly popular with people buying gifts for baby showers, congratulatory and birthday presents, and maternity leave gifts. Packages of four, five or six hours expert care are usually available. "We suggest the minimum requirement for nannies is three years' experience, a Level 2 First Aid certificate, Working with Children check, Police check and good references that have been checked. "Children who have a professional nanny are in competent, compassionate and responsible hands and will also have an enjoyable and fun time," she added. Louise Dunham is CEO of Placement Solutions, a Melbourne-based firm, specialising in nanny placement, which she established in 1988. She is also the founder and CEO of Just Family Nanny Payroll and Nurture Training College, an RTO providing formal nationally accredited qualifications in Early Childhood Education and Care. 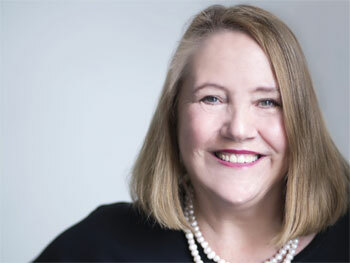 Louise served as Chair of the Ethics Board of the International Nanny Association (INA) for five years, and most recently as INA's Vice President and was the first non-American to be on the Board. Formerly she was VP of the Australian Home Childcare Association. Louise was on the steering committee that wrote the Australian National Interim In-Home Care Standards and she was instrumental in the development of the Working with Children Check in Victoria. Placement Solutions was the first agency of its kind to implement a Child Protection Policy, which was the first to be approved by Child Wise for the prevention of child abuse. Louise is a passionate advocate for the need for nannies to be recognised as childcare professionals, to be paid legally and have a valuable role to play in the childcare sector. Question: What do you hope the film, Tully, achieves? Louise Dunham: Firstly, the film is really good. It's very raw and a very real film. I'd give it an 8/10. I hope that people, particularly new mums and mums-to-be go and see the film. A key message for me from seeing it is that it's ok to ask for help and that great mothering starts with self-care first. All new mums are exhausted and need to accept, ask for and plan help if they are overwhelmed. The film also addressed post-natal depression and the signs of it. It resonated with me particularly because of the nature of the clients we help. Question: Why is the term night nanny outdated? Louise Dunham: It is outdated because the job description, newborn care specialist, covers ALL shifts on any given days that the nannies work. Equally as important though, the International Nanny Association, the peak body for the nanny industry globally, moved to change the title many years ago. Question: What is a newborn care (NBC) specialists? Louise Dunham: They are a specially qualified nanny that has had additional training and most of all, experience with newborns. For example, mothercraft nurse training, a diploma graduate with extra newborn care training, or they have qualified with the National Nursery Education Board (NNEB). Question: How does a newborn care (NBC) specialist help a new parent? Louise Dunham: They take over everything except for the physical breast feeding, which includes settling the baby, changing nappies, interacting with the baby and minding siblings. Question: How does a NBC help a newborn and their parents? Louise Dunham: They allow parents to rest and enjoy the time they have with their newborn. Question: What inspired you to write State of the Nanny? Louise Dunham: It's part memoir and part opinion piece. After being on the front line of the nanny industry for the past three decades it's a call to arms for the government and industry to do a better job at putting children first and respecting and supporting nannies. 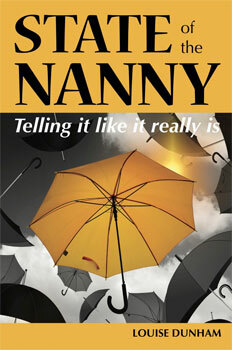 Question: What message do you hope State of the Nanny spreads to new parents? Louise Dunham: A clear message is buyer beware: you should employ your nanny legally. They shouldn't be paid cash in hand, they cannot operate as private contractors and should pay taxes like any other employee. And as an employee, they are entitled to paid holiday leave, sick pay and superannuation.